This post first appeared on eSchoolNews. If you don’t know where you’re going, you’ll never know when you’ve arrived. 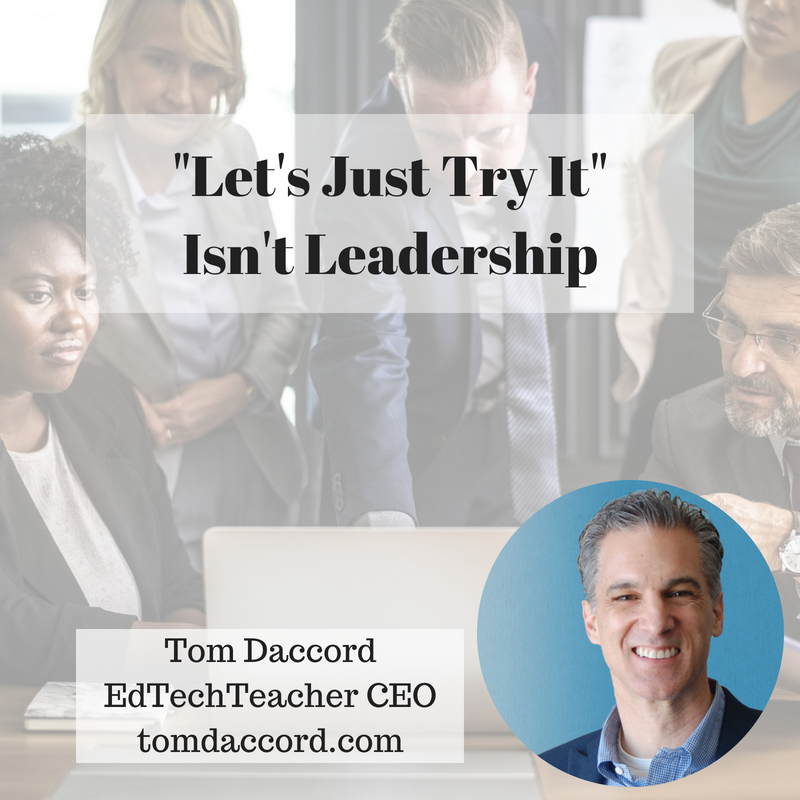 A defining trait of effective leadership in successful school technology programs is a well-defined vision of technology-aided teaching and learning that is shared with various constituents: administration, faculty, staff, parents, and students. A well-defined vision communicated effectively and consistently provides a common mission for the entire school and a rallying point for change. Yet when I speak to teachers, they often question the purpose of the one-to-one program. They need to work with their communities to articulate a clear vision for how new technology will improve instruction. They need to help educators imagine how new technologies can support those visions. They need to support teachers and students on a developmental journey that will take them from using technology for simply organizational and administrative tasks to using them as objects to spur thinking. >> Read the full article on eSchoolNews. What’s the Story of Your 1:1 Program? Come join our community and share your story at our November 17-18, 2015 EdTechTeacher iPad Summit in Boston. The Call for Proposals closes on August 31st, and Early Bird Registration is OPEN.